The workshop will consist of placing of colourful glass and ceramic tiles to creat this mosaic piece. Adult and bigger children can cut and nip the tiles with nippers. All participants can place them with PVA glue onto the board with the design of the library. 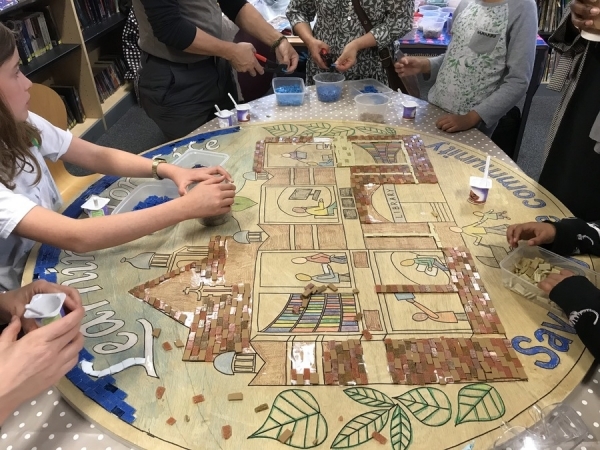 Show your love for the library and learn the art of Mosaic making.